NCsoft on Wednesday announced that its Macintosh conversion of the massively multiplayer online game City of Heroes is now available as an open beta. Mac users interested in giving the game a try are welcome to sign up to test it. City of Heroes is an MMOG set in the fictional land of Paragon City, a comic book metropolis populated by costumed superheroes and supervillains. You decide whether you’ll fight for the forces of justice or evil as you create an entirely customized character with a unique look and unique abilities. You battle criminals, villains and monsters. You can form your own band of players, explore the city, and be part of the story as you participate in more than thirty different ongoing story arcs. The Mac conversion of City of Heroes was created by TransGaming, the company behind the Cider translation layer technology used to bring other games such as Spore to the Macintosh. As a result, an Intel-based Mac is required to play City of Heroes. 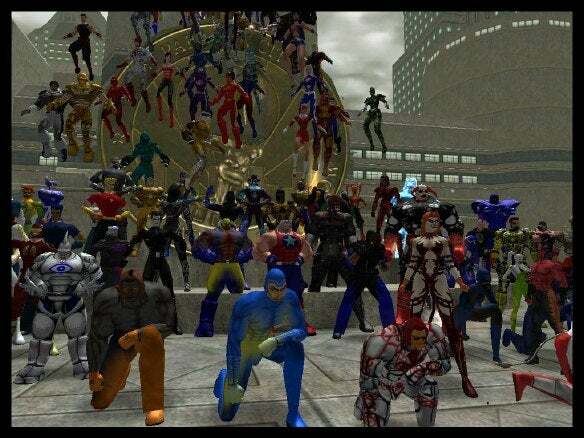 Here are some examples of the characters you can create in City of Heroes. When it’s finally released, the Mac version of City of Heroes will include exclusive in-game items such as Mission Teleporter Power, which will send players directly to their active mission, and an exclusive Valkyrie costume set comprising two varieties of wings, a cape, skirt or kilt, pants, boots, shoulder, chest, gloves, belts and helmet. Mac OS X 10.4.11 or later, Intel Core Duo processor, 1024MB RAM, ATI X1600, Nvidia 7300GT or Intel X3100 integrated graphics or better (Intel GMA 950 not supported), 2.9GB hard disk space, keyboard and mouse.